Unrest is the only album I can think of that is both chill and dancey at the same time. Depending upon my mood I can dance or relax. The concept of the album is also very obvious – each song was recorded in a different city. The urban nomad flavor fills the sound of the album. 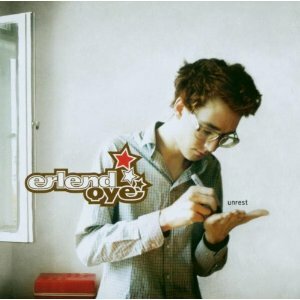 It’s a bummer Erlend hasn’t come out with another similar album; I’m sure it would be just as brilliant. However, it seems his time has been spent guesting on albums like Royksopp, and on more KOC albums. Not that I’m complaining – they’re amazing too. 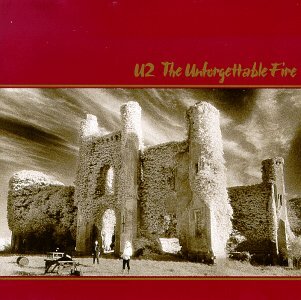 The difference between the War album and The Unforgettable Fire is jarring. This difference is likely due to a new producer – Brian Eno. The artiness factor has been turned way up and the rock turned down, though Pride (In the Name of Love) and Bad could certainly still be considered rock. However, ambient meditations and sonic experimentation in the vein of Brian Eno’s solo work are found here. The seeds of Bono’s later operatic singing can also be heard on Elvis Presley and America. It was through reviewing this album that I realized I accidentally skipped the Rattle n Hum album in the project. I realized this because the song MLK always catches my attention due to the visuals from the film that are immediately called to mind (Bono’s singing in silhouette, with a powerful spotlight shining behind him directly into the camera). It’s one of the most arresting moments from a beautiful, misunderstood film. I think it was important for U2 to go this direction to develop skills they put to maximum use on later albums (The Joshua Tree, Achtung Baby), but like October, I must admit that in a ranking of my favorite U2 albums, this would be near the bottom. It has some great songs, but it’s not as cohesive as it could be. When I first heard Underachievers Please Try Harder I wasn’t sure I liked it as much as My Maudlin Career; at first it seemed much more low-key and mellow, almost boring. However, I’ve come around. It’s amazing how much the female vocals sound like Isobel Campbell here. If you told me it was her, I’d believe you. The male/female duets with guest John Henderson are also wonderful ( I love a good male/female duet). The influences are spilling out all over too – naturally, the aforementioned Belle & Sebastian reminders are constant. Let Me Go Home is kind of a Scottish male Supremes song – it reminds me a lot of the song Baby Love. The vocal style of A Sisters Social Agony sounds like a full-on Leonard Cohen homage. The album cover is also very engaging, though almost too overstuffed with hipsterism – twee looking hot chicks, a vintage camera, well-worn teddy bear with glasses, 60s layout stylings – my hipster detector smoked and exploded the moment I saw it. However, I must admit – I love it. I was perhaps a bit too harsh when I reviewed Hopes and Fears. 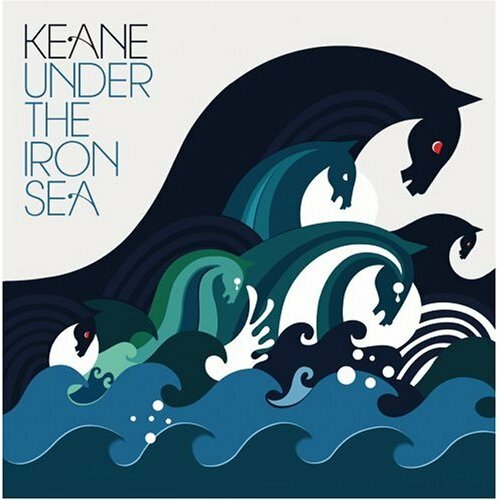 Hearing Under the Iron Sea reminds me that Keane does have a talent for lovely singing and piano work, even if the words don’t really mean anything. Maybe they didn’t have the dreaded sophomore slump, but actually a sophomore surge – I enjoy this album more than Hopes and Fears. As I mentioned before, however, I just couldn’t deal with the drama – the singer of a such a relatively low-key band already going to rehab? In writing this review, I decided to check out samples of their third album, Perfect Symmetry, and well, it’s just not as good. It sounds almost… disco-y? Maybe I gave up on them at just the right time.